The tooth and gums are so sensitive area of mouth; it is really very painful when affected by infection or any other bacterial disorder. 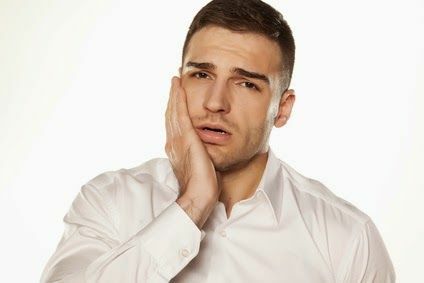 Toothaches mainly occur by the infection on around the jaws and pulp; it may happen when the most central part of the tooth, also known as the pulp; becomes irritated and inflamed or swollen. The toothaches is very painful and nobody able to tolerate this intolerable condition. The toothaches normally occurs due to lack of care, don’t have a proper rinse after eating and infections. Today we are discussing about some natural remedies and herbs, which are useful to cure from all dental problem; such as Pieria, cavities, tooth decay, toothache, bleeding and swelling in gums, gums pain etc. A painful blow to the teeth. A cracked tooth or loose filling. Bleeding gums, inflamed jaw joints, painful teeth root and infected pulp are some common symptoms of the toothache. Here, we are discussing some home remedies and Ayurvedic herbs to treat this infection and aching. If you are suffering from toothache or gums pain then you can use these effective and useful remedies to quickly get rid from it. It is the first and most important thing, you should take care of the tooth. Rinse properly with water after eating; wash thoroughly your mouth three to four times in a day to keep clean and away from bacteria. You should brush twice in a day to away from infections. Clean and wash tooth and mouth with anti-bacterial cleaner.These are some useful precautions to keep away from any tooth disease. Take a glass of extreme warm water and therein add a half teaspoon of salt. Mix it properly and leave it to become lukewarm. Thereafter, now rinse your mouth properly with this salty lukewarm water. It is the best rinse therapy to reduce swelling and bacterial infection. Salt has the antibacterial properties the very useful to reduce the inflammation and remove the bacterial infection. So this mouthwash is works as mouth cleaner as fight from infection and bacteria. It is a good technique to get quick relief from pain and irritation. Take some ice cube and put them into a plastic bag along with cotton cloth cover. Then hold it on your cheek beside the infected tooth or hold it to parallel of affected area. You should do this procedure for 5 minutes. Garlic has an antibiotic, anti-fungal and anti-bacterial properties, it can be useful in many infections and gives quick relief from any painful blow. It is an effective treatment of toothache. Take a crushed garlic clove and a few amount of rock salt; blend together and apply it on the affected area or on the affected tooth to get quickly relief from pain and swelling. You can chew garlic clove directly to get relief or you also can use garlic powder with rock salt to treat from toothache. Cloves are the most powerful herb to cure from toothache, it is commonly used as spice. It has an antioxidant and antibacterial properties to treat from any infection and bacteria. Cloves are useful to reduce tooth pain and fight from infection. Take two-three cloves and grind them to make a fine powder. Therein add some pure vegetable oil to make a good paste. Thereafter apply this paste on affected tooth or gums. You can also use clove oil on affected area of tooth. Note – Remember that, don't rub this oil on the mouth inner-skin, it may be a cause for irritation. Black pepper is extremely useful for dental disease, such as bleeding in gums, inflammation gums, toothache and painful tooth and gums. This combination works to destroy the bacterial infection and gives a quick relief from pain. Take 4-5 pieces of black pepper and grind them to make a fine powder and therein add equal amount of normal salt. Or you can take equal amount of black pepper powder and salt and mix them. Thereafter add some (a few drops) water to make a thick solution or paste. Apply this paste on infected tooth or affected area and leave it for 5 to 10 minutes. You should follow this procedure thrice in a day for quick relief. It is a magical herb, it have antibacterial and antioxidant properties. This kitchen herb is very effective to cure the entire dental problem. Take a half teaspoon of powdered asafetida and therein add a few drops of lemon juice to make a paste. Thereafter warm it slightly and apply this lukewarm paste on infected tooth or gums. You can use cotton pad for applying this paste. Note – Pregnant women do not use of asafetida, it may be a causes for contraceptive/ abortifacient. You can use this quick pain relief therapy for toothache. It is a powerful anti-germs remedy. Take a small piece of camphor and press down below painful teeth or infected tooth. Then leave it for 10 minutes. This remedy definitely destroys all the germs and you will get fast relief from pain and bleeding. Onion is also a useful remedy for toothache and gums pain, you can directly chew a row piece of onion to get quick relief. Or you can apply onion juice on infected tooth or affected area. Ginger is the traditional and an ayuvedic herb; it has analgesic, sedative, antipyretic and antibacterial properties. Take a fresh ginger and peel the skin; thereafter cut it into small pieces. Now, press down this ginger piece below the infected tooth or gums. You will easily get rid of the toothache and pain with this remedy. Yoga and pranayaam can cure many diseases permanently, so we are provide kappal bharti Yoga poses to get rid from dental problem. This video provided by Yoga-Guru svami ramdev. Avoid chewing of rigid/hard food. Avoid use of alcohol and quit/stop smoking. Avoid excess spicy, oily, hot and fast foods. Do clean regularly your teeth after eating. More eat green leafy vegetables, salad, tomato, milk etc. You should brush twice in a day to keep clean your teeth. 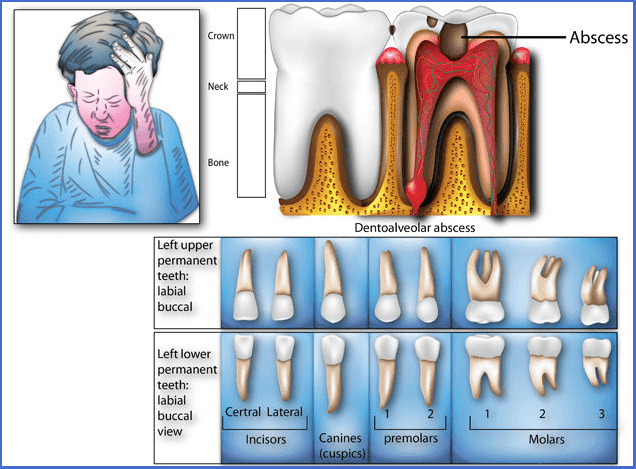 This information will help you to get cure from all dental disease; you also can comments for any advice or suggestion.